This section of the web site contains a list of forthcoming Exhibitions and Auctions and lists of web sites, be they society or commercially related, with links to these sites. Exhibitions lists all National and International exhibitions which will take place in the near future. Also included will be other events taking place which may be of interest to members. 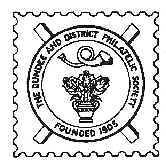 Society Web Sites provides a list of other philatelic society web sites which may be of interest. Commercial Web Sites lists commercial web sites which might be of interest to members.